What is better than a rural setting that is just minutes to all the conveniences of modern cities? When you choose this perfect community, you will love the feel of country in each and every home. 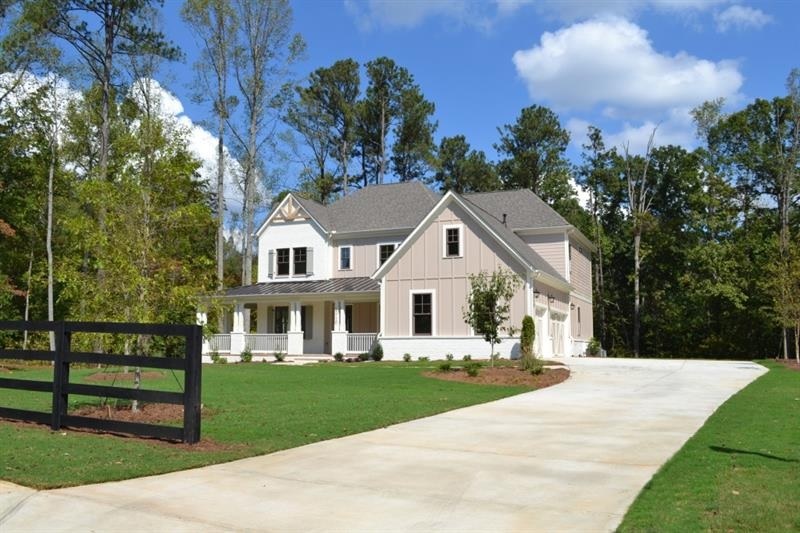 Each home is featured on a one acre plus homesite and has a farmhouse style home with a 4 plank wood fence. Milton Run has just announce that they now have one available home with many new homes planned coming soon. ACT fast to enjoy $10K in Designer Options plus $5K in closing costs with preferred lender. * See agent for full details. Ideally located in Milton with easy access to downtown Alpharetta, this spectacular community is in the sought after Cambridge High School District. Milton Run is close to several golf courses including Atlanta National Golf Club, Trophy Club of Atlanta, Crooked Creek Golf Club, St Marlo Country Club and many others. It is also near North Point Mall, The Collection at Forsyth and Avalon for great shopping, eateries and events. Alpharetta is perfectly positioned between the enchanting and adventurous North Georgia Mountains and the vibrant international city of Atlanta. An exciting event-filled city, Alpharetta will soon be home to many new hotels, eateries and other businesses. See planned additions here. If you are thinking of relocating to Alpharetta/Milton area, consider this: Forbes Magazine recently ranked Alpharetta #1 on the list of America’s 25 Best Places to Move. Why? Alpharetta has easy access to Atlanta, offers award-winning parks, excellent schools, a multitude of family-friendly festivals and events, unique shopping destinations and a thriving culinary scene. Previous Previous post: Interest Rates are Rising! Lock in 2018 Rates Today at Cambridge Preserve Where Only 17 Opportunities Remain! Next Next post: Only ONE Remains at Central Garden – Popular Smyrna Location – Make it yours!